Kotak Life Insurance is currently of the top growing companies in the crowded life insurance industry in India. Similar to other top insurers, the company offers a wide array of insurance plans to meet the requirements of its customers. The policies offered by the company include protection plans, savings plans, retirement plans, child plans, etc. Group life covers are also available for employers to provide coverage for their employees. 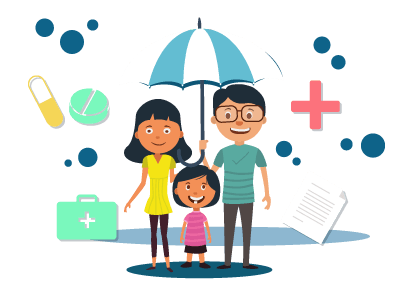 If you are looking for a good life cover to secure your loved ones, you need to take a look at the policies offered by Kotak Life. Let’s take a look at various aspects of the company and how the policies can help you secure your family’s financial needs. Why should you go for Kotak Mahindra Life Insurance? Kotak Mahindra Life Insurance is one of the companies with the highest claim ratios in the life insurance industry. The company has extensive experience for several years in managing assets and funds. It has also got the best ratings for financial management from some of the top rating agencies in the world. When you choose Kotak Mahindra Life Insurance, you will get excellent life insurance solutions depending on your specific needs and preferences. The highly dedicated sales team at Kotak Mahindra Life Insurance will listen to all your concerns and answer your queries. They will guide you throughout your insurance policy application and claims process. Different types of Policies Provided by Kotak Mahindra Life Insurance? A protection plan will provide your dependents with widespread financial security and independence. You will also not have to worry about debt troubles when you take this plan. Kotak Mahindra Life Insurance offers an eclectic range of protection plans. This plan gives you monthly income and it rises at 6% p.a. which will compound for the rest of the insurance period. If the life insured dies during the policy period, the nominee will get an assured benefit in order to handle the urgent expenditures. You can enjoy a minimum guaranteed payout period for the monthly income that you earn in 5 years if the remaining policy period is below 5 years (when the life assured dies). With this plan, you will get insurance by paying a reasonable cost of Rs.6,975. If you get permanently or totally disabled, you will get a waiver for all basic premiums. You can pay either through immediate payout or recurring payout. This plan is given at a low cost and provides good coverage. You can choose a policy period of 10 or 5 years. You can pay in a lump sum or through an annual or half-yearly premium payment that will range for 5 years. This plan offers preferential rates to women and non-tobacco users. You can go for a step up or step down feature to raise or reduce your cover. You can get your protection tailor-made by selecting a rider. You will also get tax benefits. You can choose a one-premium payment method or premium payments spread over many years. This plan gives special preferential rates for women. You can choose to modify your term plan to any other plan offered by Kotak. These plans offered by?Kotak Life Insurance?will allow you to save money and also engage in proactive financial planning. After you complete the premium payment term, you will get guaranteed additions for the rest of the policy period. You will get a lump sum guaranteed loyalty addition after the policy period gets over. You will get a guaranteed annual income after the premium payment period gets over. You will also get bonuses during the policy period. This plan gives better sum assured rates to women. This plan gives whole life plan for up to age 99. This plan offers both simple reversionary bonus and cash bonus. You can choose bonus payouts or collect them. You will receive tax benefits. This plan comes with a single premium. This plan gives a joint live cover. It gives a cover for the first person who dies and the survivor as well. You can go for loyalty additions after a policy term ends. This plan is designed for those who earn low incomes and it is given for 5 years. A single premium costs Rs.200. You will get a guaranteed payout when someone dies or when the maturity period gets over. You will get a guaranteed income during the payout period. You will also get income boosters. You will get death benefit whether the guaranteed income has been paid or not. You will get guaranteed maturity benefit with your last payout. Kotak Premier Moneyback Plan You will get a lump sum maturity addition with this plan and you will get an enhanced death cover. You will receive bonuses from the 1st year itself. Kotak Classic Endowment Plan This plan gives coverage up to age 75. You can pay the premiums as per your convenience. Kotak Assured Income Plan You will receive assured annual income for 15 years and an additional lump sum after maturity. You will get protection for 30 years. You can select any of the 3 investment strategies which are self-managed, age-based, and systematic switching strategy (SSS). You will get extra Survival Units after the policy term ends. You will get additional earnings with Loyalty Additions that come with this plan. You can choose an age-based, self-managed, or systematic switching strategy. You will get a Top-Up Sum Assured with this plan. You can withdraw amounts from your policy in parts after your 5th policy year. Kotak Wealth Insurance This plan will give you a tailor-made fund portfolio for your risk returns. Here, the investment risk that is there in the investment portfolio will be incurred by the policyholder. You will not have to pay any premium allocation charge for this plan. You can choose a Classic Opportunities Fund or a Frontline Equity Fund. This plan will give you a basic sum, accrued guaranteed yearly additions, and guaranteed loyalty addition. You can also increase your life cover. This plan will help you build your wealth. This plan is designed for people living in rural areas. You can make a single payment and you will get a guaranteed payout for death or maturity. You do not have to give any medical test to get this plan. Kotak Life Insurance provides an exclusive child plan that secures the education goals and career dreams of various children. Similar to other child plans, the premiums will be waived in case of the unexpected death of the child’s parent. You will get a plan corpus when the policy matures. This will help in your child’s education. If the parent dies during the policy period, the dependent will be given the life cover amount instantly since there will be no source of income. After the death, the premiums will be waived. You can go for a policy term for 10 years and pay the premium over 5 years OR policy terms that range from 15 to 25 years and pay the premium over 10 years. You will get a great retirement package that will enable you to relax after you retire. You will get guaranteed additions in the first 5 years and from the 6th policy year, you will get a bonus. You will also get an assured benefit. This is an instant annuity plan. You can choose from 4 annuity options to meet your financial requirements after you retire. You can choose a yearly, half-yearly, quarterly, or monthly income payment method. Kotak e-Lifetime Income Plan The annuity rate will remain the same throughout your life. You can select any one of the 4 annuity options. Kotak offers? group life insurance plans?to people who are a part of groups such as employees working in an organisation or borrowers of a certain credit institution. The company has designed multiple group insurance plans in order to cater to the differing needs of different groups. This plan can be taken by members of self-help groups, credit co-operative societies, professional associations, NGOs, etc. Your targeted savings amount will be transferred to the beneficiary if the policyholder suddenly dies. This plan gives protection even for terminal illnesses. Kotak Group Secure This plan can be taken by a person who person who represents a certain trade or profession or a co-operative society or an Anganwadi worker. This is a unit-linked group gratuity insurance plan. You can enjoy a capital guarantee. This gives life insurance coverage for employees along with gratuity. You will get additions if you invest high funds. For high valued investments, you will receive additional units. You can choose a Group Balanced Fund, Group Floating Rate Fund, Group Money Market Fund, Group Bond Fund, Group Short Term Bond Fund, or a Group Gilt Fund. This policy is renewed annually. This plan has been created for PSUs, Central Governments, employers, trustees state governments, etc. who sponsor members’ superannuation benefit programmes. You can go for a Defined Contribution (DC) or a Defined Benefit (DB). You will get a guaranteed floor rate of at least 2% p.a. In this plan, the dependents will get coverage in case of withdrawal, resignation, retirement, or death. You can choose from a defined benefit scheme or a defined contribution scheme. This plan helps companies in retaining employees efficiently. This plan gives a voluntary cover for the spouse of the employee. You can pay your premium on a monthly, quarterly, half-yearly, or annual basis. You can enjoy tax-deductible premiums. It has extensive coverage with basic underwriting. This plan will give you an idea about the several market instruments. The returns will be connected to these instruments. It will support your company in financing the gratuity for employees and in sponsoring the chief operations of your business. This plan is designed exclusively for borrowers who are a part of a credit institution. It helps both the borrower and the lender. The borrower’s dependents do not have to worry about clearing the debts. The group cover helps in reducing the risk as it is combined. Hence, the premiums are low. It provides comprehensive coverage for critical illness, disability, and terminal illness. You can go for Group Assure, Easy Group Assure, Group Assure Plus Critical Illness Benefit, Group Assure plus Disability Benefit, or Joint Life Cover. This plan gives you coverage for liability that arises from a loan. Kotak Group Shield This policy works similarly like Kotak Group Assure. The benefit of this policy will be given to the nominee or the borrower or the legal heir. Kotak Mahindra Life Insurance provides excellent riders in different categories. A rider is an extra feature that is added to a normal insurance policy. It gives additional privileges when you pay an extra cost. How to make a claim with Kotak Mahindra Life Insurance? To make a claim for death, permanent disability, or critical illness, you will have to give relevant documents and send it to the official address of the Claims Department of Kotak Mahindra Life Insurance. You can find the claims intimation form under the Forms section of the site or at any Kotak Life Insurance branch. Your Life Advisor will also have the form. The claim can be made by the policyholder or the nominee. When the nominee is a minor, a person can be made the appointee and this person can intimate the claim. If the contractual parties suffer from any unforeseen incident, the claim can be made by the legal heir by submitting a proof of legal title. For a death claim, you will have to provide original death certificate, policy documents, claimant’s documents and photograph. For critical illness claim, you will need to give the photo of the insured and relevant medical records along with other documents for proof of address and identity. After the claim is made, you will have to fill some more documents in order to complete the claim processing. A team of committed staff will be by your side throughout the claim process. When the company has all your documents, they will evaluate your claim details. Once this is done, payments will be made for the claim depending on the evaluation. You will receive updates about your claim via SMS and in the form of a letter. If you have any queries regarding the settlement, you can reach out to the Claims Department of Kotak for clarification. You can give your passport, PAN Card, Driving License, Voter’s ID, Letter given by the Unique Identification Authority with your name, Aadhaar number, address, etc. You will need to submit your Passport or Voter’s ID. You can give your telephone bill, electricity bill, a letter given by a recognised public authority, ration card, your lease agreements with your rent receipt or your bank passbook. How to check your Policy Status? You may call the company on the toll-free number 1800 209 8800. NRI policyholders can contact the company by calling +912267775000. You can write a letter to the client service desk of Kotak. You can sign up on Kotak’s official website and create a new user ID with your email ID and a password. You can then login and then check your policy status. You can also visit your nearest Kotak branch and meet a representative for full information. You may contact your Life Advisor for help. National Electronic Fund Transfer (NEFT): You can do this through the net banking facility that is provided by your bank. Standing Instruction: You will have to fill a Standard Instruction form and submit it. Your account will get automatically debited on the due date of the premium payment. Electronic Clearing Services (ECS): This is an automated facility where your premium amount will get deducted from your bank account. Payment through credit card: You can pay your premium through any Visa or MasterCard credit card by visiting the website of Kotak Life Insurance. Direct debit: You will need to fill a Direct Debit form provided by the bank and submit it any of the banks that have this facility. Online payment: You can pay online without any hassle by logging into the website of the Kotak. Payment through debit card: You can pay through any Visa debit card. Immediate Payment Service (IMPS) with your mobile phone: You will need to enrol for IMPS with your bank and then you should get your MPIN (the password for the mobile payment) and MMID (Mobile Money Identifier) from your bank. Kotak Mahindra Life Insurance provides an excellent online insurance premium calculator. You will have to first select the product category from ULIP plans, term plans, and traditional plans. Next, you will have to choose a specific product from the drop down list. Then, you will need to proceed to the next page. In the next page, you will have to give personal details. You will then need to give information regarding cover and term. Following this, you will have to give information related to allocation of the finances. Next, you will have to provide rider details. You will also have to select the mode through which you will pay your premium. When you are using the calculator, some of the fields will have to be mandatorily filled. Whenever I pay my premium, will I get a receipt from Kotak Mahindra Life Insurance? A. Yes, the company will provide you with a receipt whenever you make a premium payment. If you pay via Standing Instruction or ECS, you will get a receipt only after getting an update that your payment has been successful. Does Kotak provide a free look period and what is it? A. Yes, Kotak offers a free look period. This is the period during which you can hold a particular insurance policy and then give it back if you want to. This period lasts for 15 days since when you have received the policy. This period is applicable for all types of policies. You will get a refund of the premium that you would have paid. This amount will be ascertained after subtracting the medical expenses, stamp duty, and the proportionate risk premium. Does Kotak Mahindra Life Insurance allow me to move from one insurance plan to other plans provided by the company? A. Yes, Kotak allows you to move from one type of plan to any other plan provided by Kotak. This process is known as switching. You do not have to worry about any specific limit as you can make any number of switches. But, you will be able to make only certain number of switches for free. What are the factors that I should consider while selecting a Kotak Life Insurance policy? A. When you are choosing a life insurance policy from Kotak, you need to consider these 3 factors chiefly: your financial goals, the amount of risk, and the tenure for which you can pay your premiums. Could you tell me the types of funds that are offered by Kotak Life Insurance? A. Kotak Life Insurance offers 6 types of funds and they are: Floating Rate Fund, Balanced Fund, Growth Fund, Gilt, Bond Fund, and Aggressive Growth Fund. Could you tell me the riders provided by Kotak Life Insurance? A. Kotak provides accidental death benefit, critical illness benefit, permanent disability benefit, Kotak preferred term benefit, Kotak accidental disability guardian benefit, term benefit, and Kotak life guardian benefit. If I need to make a death claim that comes under a plan without cover, what documents will I need to submit? A. If the life insured dies who has a plan without cover, you will need to submit policy documents, claim intimation form, documents of life insured including address proof, photo, and ID proof, medical records, and passbook. Under Kotak Life Insurance, what is immediate payout? A. Kotak Life Insurance provides you with an option of immediate payout where the nominee will get 100% of sum assured when the life insured dies. What are the online insurance plans provided by Kotak Mahindra Life Insurance? A. The 3 online insurance plans provided by Kotak Mahindra Life Insurance include Kotak e-Assured Savings Plan, Kotak Preferred e-Term Plan, and Kotak e-Lifetime Income Plan. What is the gifting option that is provided by the Kotak e-Lifetime Income Plan? A. You can apply for the Kotak e-Lifetime Income Plan in your name or even gift it to your loved ones. However, you will be allowed to gift it only to your grandparents, parents, spouse, or siblings. Kotak Mahindra Life Insurance has launched a new facility on its official website where it allows individuals to submit selfies to get term insurance premium quotes. The platform will make use of a facial analysis algorithm to derive a quotation for a term insurance plan chosen by the prospective buyer. This new feature was launched in Mumbai and aims to make the experience of clicking a selfie memorable as well as meaningful. The marketing head of the insurance company, Jasneet Bachal, said that the company has been constantly innovating and is coming up with ways to make insurance attractive to tech-savvy individuals. The new selfie campaign also aims to debunk the misconception that insurance is complex and time-consuming. It goes on to prove that getting a term insurance quote is as simple and quick as clicking a selfie on a smartphone. Kotak Mahindra insurance is trusted one, when I opt for the term insurance. I got the policy bond, I selected the life cover of Rs. 50 lakhs for the term of 10 years. I used to pay the premium amount around Rs. 80,000, after my loss my nominees will get the lump sum amount. Through ECS, I have paid my payment for my insurance policy. I have taken policy in the year of 2013. I will made payment of Rs. 2285. I will receive a sum assured amount after the maturity. Total tenure period of the policy is 2023. I have chosen the every month payment mode. I have been using my life insurance from kotak life since last 5 years and it covers the self. The maturity period of this policy is for the 15 years also the premium i pay in yearly basis and i have taken this particular policy is that it is a very good policy. The name of the policy is that SMART ADVANTAGE the maturity is for the 10 years and i am using it since 9 years and documentation i have done it through the offline with simple process. The reason is that the plan is good so i took also the premium i pay through the cash and sometimes through the online. "Customer service is not helpful"
I ve taken the policy from Kotak mahindra. I could not able login in the net banking, I have raised the complaint regrading this. Its almost more than 2 years, still its not resolved. They are properly responding in the customer care regarding this issue other than this they are giving alternative option to pay the premium. I used to receive a regular reminder to pay the policy. Whenever i'm calling they don't have any concern to resolve my issue. My term insurance is with KOTAK MAHINDRA OLD MUTUAL LIFE INSURANCE. They are pretty good in the overall services. They provide a good sum assured and the benefits are fine. There are online options to make a payment and the premium is also normal for me which is paid on a yearly basis. My life insurance is with Kotak Mahindra life. The customer services are good. It is a normal policy and I am satisfied with the sum assured and the plan benefits. The payment options are also convenient. I can pay it online. In all no issues faced till date. It is a term insurance with Kotak Mahindra life insurance. The benefit of this policy is the tenure is for 20 years but I would get bonus returns on the 12 year and the 16th year and 25% extra on the sum assured after the maturity term. The payment mode is also good. It same as money back policy, I have taken on my spouse name. I make the premium nearly Rs. 24,000 in Kotak Mahindra life insurance. Every five years my wife get the bonus interest around Rs. 60,000. After 15 years, they provide lump sum amount or else we can convert the partial amount into monthly pension. I have money back policy from Kotak life insurance, its a good policy I get return after the maturity period. But every five years they give some bonus interest for the premium, after 15 years I get some lump sum assured. However I should pay for only 10 years of premium around Rs. 24,000 on annual basis. "Good Investment Policy for Future"
I should keep following the customer care to get the information about the funding value. I have been paying the life insurance premium around five years. I have Life insurance for the term of 20 y ears, after that I would get the good return value + interest around 10 lakhs from Kotak Mahindra. I own a Term insurance policy from the private sector insurance company KOTAK MAHINDRA OLD MUTUAL LIFE INSURANCE. My annual premium amount is Rs.20,000/- which is very affordable. But I dint get any additional or non claim bonus benefits from the insurance company. "Good Protection for my family"
I am getting good coverage and good premium in Kotak Mahindra Life insurance, its a term policy for the tenure of 10 years but the cover for a period of 75 year. I make yearly payment around Rs. 48,000, they give the sum assured value of around 1 crore, which includes accidental , critical illness cover etc.